Like I said in my previous (and first ever) post These Boots were Made for Walking, being short somehow poses a challenge fashion-wise. There are some pieces you think you just can’t wear. In the past, I never really thought I would be able to wear boots, but now I own several pairs and love wearing them for comfort and style. It turns out that boots vary in shapes and forms, and I only have to choose pairs that will cover just enough part of my legs without making them look shorter (of course, I will never be able to wear those thigh-high boots, but I really do not think they are stylish, anyway) and pair them with bottoms that can accentuate the legs (ones that can make the legs look slimmer or longer). I usually pair my boots with tights, shorts, and skirts or dresses whose length falls just above the knees or shorter. I find maxi skirts and dresses and palazzo pants really fresh and fab, and so I think every girl should own at least one of each, which they can either dress down or glam up. They can be worn on days when you just want to go malling or run some errands by pairing them with a simple tank or cropped top and flats or sandals, while jazzing them up with chunky accessories and a pair of heels or wedges will get you ready for a formal event or a swanky party. 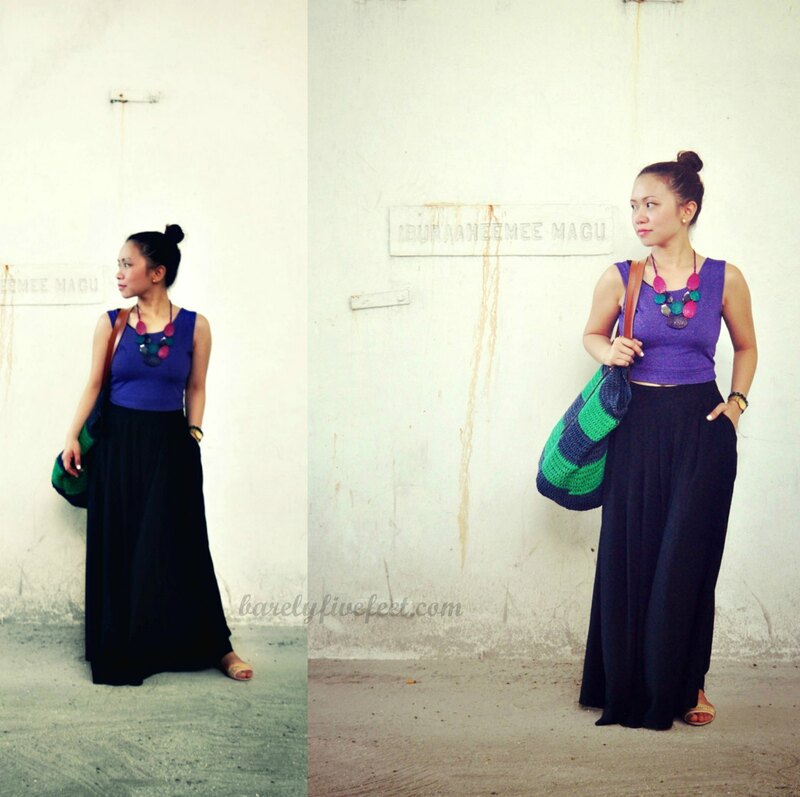 In our recent trip to Maldives, I wore my tie-dyed maxi skirt and my all-time favorite black palazzo pants. I paired them both with cropped tops, flats, and some funky accessories. In my opinion, they look so touristy, comfy, and very stylish!